The Lanier Slimline Briefcase may be my single most used item that we make. It is the perfect remote work day bag, made to fit your laptop, tablet, pens, and paper. I don’t leave the house without it, and hopefully the winner of this case gets the same use out of it. Congratulations Tim! I’ll be sending you an email later today to arrange shipping to the Great White North. Thanks to everyone who entered and stay tuned for another giveaway soon! The Lanier is a personal favorite of ours, both in style and color. So, why not spread the Lanier love and give one away to our amazing customers. 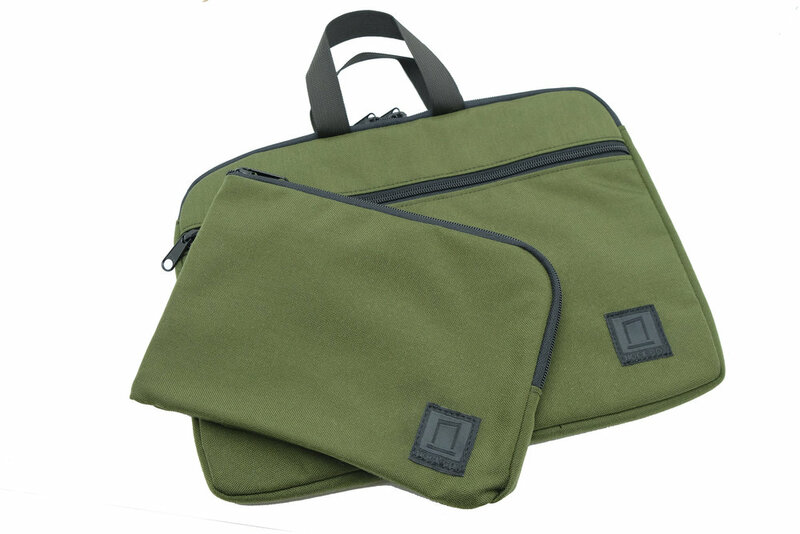 It fits A4 sized notebooks, laptop and tablets in the main compartment, and includes a removable A5 sized pouch in the front for all of your writing accessories. Entering is simple, so follow the steps below for your chance to win! Congrats Suguru! I'll send you an email this afternoon to collect your shipping address. Everyone else, stay tuned for a product release update very, very soon.